Over the years, Sedaris has lived in several cities in the United States and in France. He currently resides with his long-term boyfriend, the visual artist Hugh Hamrick, in a renovated sixteenth-century house in the south of England. Incidents set in this home and in the surrounding countryside display Sedaris’s acute sense of cultural nuance. If you’ve never read Sedaris before, be warned that he’s an inveterate trash collector—as in self-appointed roadside litter gleaner—who describes vividly the sordid garbage that he picks up. He’s also a prolific writer, whose other books are reviewed in my overview of his work. Only one story, “Berlin,” left me flat. In it, a husband and wife are reluctant audience members for a multi-day performance of Wagner’s Ring cycle. Apparently, the two are sorting out whether they want to stay together, but there is little discussion of their troubles. Instead, readers get interminable descriptions of the opera action. If I was supposed to match this action to the couple’s experiences, I missed the boat. I may have been hampered here by my utter contempt for Wagnerian opera. The cover of Here in Berlin tells us that this is “a novel,” but upon opening it you’ll be excused if you mistake it for a collection of short stories. Either way, Cristina García has produced a striking picture of contemporary Berlin by presenting pieces of historical Berlin. The construct is this: a Visitor, never named, interviews Berliners, many of them aged residents of a nursing home, and records their stories in their own words. The Visitor also sets down a few third-person accounts of Berliners. In addition, the Visitor records some interviews with Cubans, both in Berlin and in Cuba, as she explores the connections between East Germany and Fidel Castro’s Cuba as those connections existed from the end of World War II until 1989, when the Berlin Wall came down. It had never occurred to me before, but now it’s obvious that there would have been movement of people between these two centers of Communist power in the twentieth century. Students would have traveled from Cuba to study in Berlin, for instance, and transatlantic business would have been conducted. Oh, the stories that emerge! The primary revelations concern the Nazi era and the period of the late 1940s, when Berlin was an apocalyptic landscape of destruction and starvation. Nonagenarians reveal to the Visitor long-hidden secrets of their precarious survival, and slightly younger Berliners recount grim childhoods, when World War II was grinding to a horrific conclusion, with Hitler’s troops fighting to the bitter end and the Russians storming Berlin. The voices are so authentic that you may start to think of the book as documentary rather than fictional. Over it all, the Visitor tries to pinpoint her reasons for conducting the interviews in the first place. She finds linkages between some of the characters, making Berlin sometimes seem like a small town where everyone knows everyone else. For instance, an ophthalmologist whom the Visitor interviews has a couple of the other story tellers as patients. A Cuban who moved to Berlin and became a geology professor reports his long-ago affair with a crippled German ballerina whom the Visitor also interviews. To fully appreciate Here in Berlin, it helps if you can read German, or at least are willing to Google the meanings that you can’t get from context. Sure, most readers will know that “danke” is “thanks,” but I’m guessing that fewer will recognize “Ku’damm” as the shorthand for “Kurfürstendamm,” the broad avenue of shops in Berlin. A few misspellings in the German are unfortunate editing errors. The bits of Spanish that dot the text are less problematic. For a different take on Germany in the years right after World War II, see my review of The Women in the Castle, a novel by Jessica Shattuck. And for another collection of linked short stories, try Anything is Possible by Elizabeth Strout. Me Talk Pretty One Day (2000) has two sections of essays—one about Sedaris’s youth in Raleigh, North Carolina, and one about his move to France as an adult, with his partner, Hugh Hamrick. The essays about Sedaris’s attempts to learn to speak French are so hilarious that I laughed until tears obscured the words on the page. Dress Your Family in Corduroy and Denim (2004) has widely-ranging essays, with a focus on family relationships. Sedaris’s realization that he’s gay is presented frankly and yet with comic self-deprecation. When You Are Engulfed in Flames (2008) includes one of my favorite Sedaris humor pieces: the story of his trip to Japan to try to quit smoking. His idea was to get far away from his usual haunts to break his habit, but he found that smoking is very common in Japan. Squirrel Seeks Chipmunk: A Modest Bestiary (2010) is a collection of animal fables, a departure from the usual Sedaris essay form. Let’s Explore Diabetes with Owls (2013) continues with Sedaris’s droll observations on humanity. Of particular note is the essay about Europeans’ reaction to the election of President Obama in 2008. If we have all these other books about David Sedaris’s upbringing and family members and encounters with odd strangers, why do we need to read his diaries? Well, Theft by Finding provides insights into the creative process that produced so many excellently sardonic essays and stories. For example, there are entries that give the background to Sedaris’s most famous piece, “SantaLand Diaries,” about his experiences working as an elf at Macy’s in New York during the Christmas season. “SantaLand Diaries” appears in his 1994 book, Barrel Fever, and also in his 1997 book, Holidays on Ice, but Theft by Finding records the day in December 1992 when Sedaris first read this essay on National Public Radio and caused a sensation among listeners. Theft by Finding also includes entries for important events in history, so that you can read Sedaris’s first notice of the AIDS epidemic, as well as his reaction to the attacks on September 11, 2001, while he was living in France. 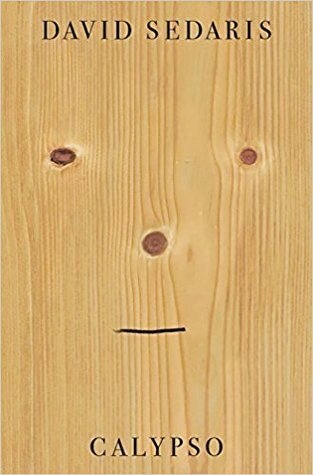 In Theft by Finding you can watch the development of Sedaris’s style, from jotted observations to more expanded commentary on those observations. Sedaris notices absolutely everything and is a master at capturing offbeat, ridiculous, and sometimes illegal activities occurring around him. In his twenties, his existence on the fringes of life, in crime-ridden neighborhoods, put him in the company of panhandlers, drunks, and drug addicts. In mid-life, his expanding celebrity status exposed him to the rich and famous, who can be equally absurd. From reading the diaries, you can see how Sedaris blurs the line between fiction and nonfiction, taking scenes from real life, amplifying them, and surrounding them with extraordinary contextualizations. For years, David Sedaris scrimped by on odd jobs—refinishing furniture, cleaning apartments. He kicked his meth habit, cut out alcohol and tobacco, and by sheer hard work became one of the most celebrated humor essayists in the English language. He’s among my favorites. Before you read Elizabeth Strout’s 2017 short story collection, Anything Is Possible, you might want to check out her 2016 novel, My Name Is Lucy Barton. The two books are interconnected and can be read as a cohesive whole. In My Name Is Lucy Barton, Lucy is a writer in New York City in the 1980s, with a husband and two young daughters. When Lucy is hospitalized for many weeks with a mysterious illness that arises after an appendectomy, her estranged mother travels from rural Illinois to her bedside. The two women reach an uneasy peace with each other, especially as they tell stories about the folks back home, in the (fictional) Amgash, Illinois, a depressed rural area that’s a two-hour drive from Chicago. Pete Barton, Lucy’s reclusive and oddly childlike brother, who still lives in the old Barton house. Tommy Guptill, the friendly janitor from Lucy’s elementary school, who is now in his eighties and who keeps an eye on Pete. Charlie Macauley, a Vietnam veteran with PTSD, who gets himself into a bind over a prostitute. Patty Nicely, a contemporary of Lucy’s and now a high school guidance counselor, who tries to help Lucy’s difficult niece, Lila Lane. Mary Mumford, the neighbor woman who left her husband of 51 years to run off to Italy with a younger man. Vicky Lane, Lucy’s sister, who reminds Lucy about some of the horrors the siblings endured in their childhood. Abel Blaine, Lucy’s cousin, who has built a successful business in Chicago. Lucy herself enters the linked stories of Anything Is Possible in many ways. She’s become an acclaimed writer and has published a book that the people of Amgash can buy at the local bookstore. Chicago is one of the stops on Lucy’s tour to promote her book, so she stops in Amgash to see her siblings, Pete and Vicky, in one of the stories. Take note that the fictional Lucy’s fictional “memoir” seems to be very much like Elizabeth Strout’s novel My Name is Lucy Barton. Strout toys with the vagaries of memory in both these books. In Anything Is Possible, we get much more detail about the childhood suffering of the Barton kids—details that were glossed over and somewhat sanitized in My Name is Lucy Barton. The other residents of Amgash are also revealed to have their share of specific miseries, including sexual abuse, mental illness, and crushing poverty. The power of money emerges as another theme. Lucy Barton, who had to scrounge in dumpsters for food as a child, lives the up-by-her-bootstraps version of the American dream when she gets into college and becomes a successful writer. Others in her small town remain impoverished. Sometimes people are poor simply because of bad luck, and money certainly does not buy happiness or stability for the characters in Anything Is Possible. The prose in these two books is spare, with every word well chosen. The emotions are raw but presented with subtle empathy. Strout’s previous books include the Pulitzer-winning Olive Kitteridge (2008), which is, like Anything Is Possible, set up as linked short stories, and the novel The Burgess Boys (2013). Basically, read anything by Elizabeth Strout that you can get. You won’t be disappointed.